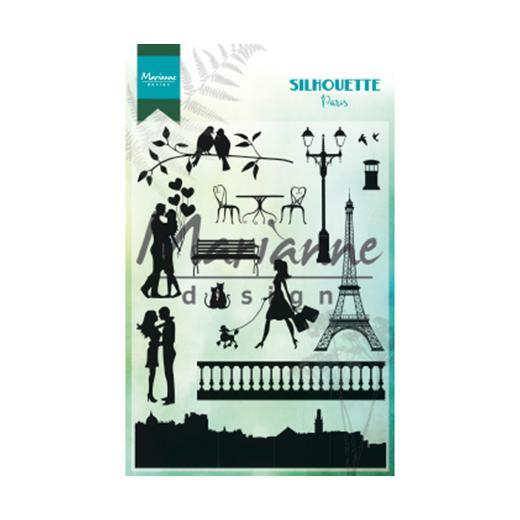 Stamp a silhouette scene on greeting cards and scrapbook pages with this clear stamp set from Marianne Design. Set of clear stamps on a 110 x 150mm backing sheet. For use with an acrylic stamping block. (Stamping block not included).